How to run iOS apps in Windows PC or What is the best iOS emulator for Windows to run iOS apps in Windows 10 / 8 / 7 computer are some of the widely searched terms over the internet, and that’s the main reason for us to bringing out this iOS Emulators for Windows guide. Apple App store is having a huge collection of iOS applications and games. If you played a game or app on your friends iPhone and want to play it again but don’t have an iOS device then you can use iOS emulators to play iOS games on PC. The iOS emulators are softwares which help one in running all the applications and games available for iOS devices on Windows computers. You just have to install iOS emulator for Windows and you will be able to run all your favorite iOS applications and games on your Windows computer. There are many different iOS emulators available on the web for iOS and today we are going to share top 7 best iOS emulators to run iOS Apps on Windows PC. But before browsing the complete list of iOS emulator to run iOS apps in Windows 10 / 8 / 7 operating system, let’s find out in details – what is iOS emulator?, What is the difference between Emulator and Simulator?, and What are the important uses of iOS emulator? iOS Emulator is a software which will help you in running any iPhone or iPad game on your Windows computer. You can easily install iOS emulator for Windows on any Windows computer or laptop and access all the iOS games and applications for free. Not only you can use the applications and games which are available in Apple iTunes App store but also test the iOS apps and games which you are going to develop for any iOS device. In this extensive guide of best iOS emulator for PC, you will be able to find out some very exclusive iOS simulator and emulators for iOS which are absolutely free and quite safe to download. What is the Difference Between Emulator and Simulator? A lot of people get confused between a simulator and emulator whenever they read the guide of best iOS emulator for Windows computer or best android emulator for Windows computer. Simulator and Emulator sound the same but both these terms are different. An emulator is considered as a replacement of any original device like iPhone or iPad. Using iOS emulators, you will be able to run same applications and softwares of original device e.g. iPhone or iPad. There is no need of modifying the software as the only thing needed is installation of the software and you are good to go. All the non-iOS users who want to run iOS apps and games use iOS emulators for Windows. Simulator will set up similar environment just like the Operating system of original device but doesn’t provide access to hardware of the device. This is one of the reasons that some applications don’t work on iOS simulators for Windows. iOS simulators will run the code smoothly and will launch the app within a few seconds. Developers prefer to use iOS emulator for PC instead of iOS simulators because of the ability to test the applications and user friendly interface. Now that we know what is the difference between iOS simulator for Windows and emulator for iOS? So, let’s find out important uses of iOS simulator. What are the Important Uses of iOS Emulators? You can test the iOS apps when you are developing them using the iOS emulator. Mobile app simulator will help you to run the application in multiple devices which are having the same operating system. You will be able to analyze your application and also find out the issues which are present in your application during the testing phase. This will help you in getting better product in the end. 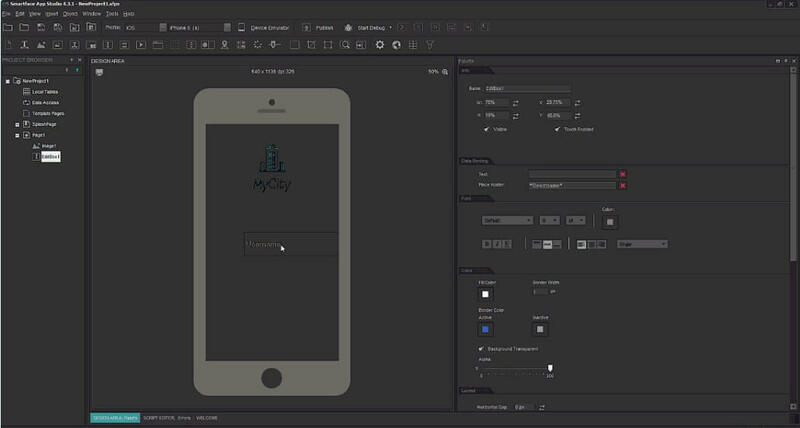 You can test the application with all the developer tools which you can only access using a simulator. If you love to learn about coding then you can enjoy the Xcode development experience. The iOS developer program will help you in providing more information on how to code better and efficiently. If you have already fed up by trying all the possible methods to run apple apps on Windows PC without iOS emulator and now looking for a best and very powerful iOS emulator for Windows 10, 8, or 7 operating system then below explained list of iOS emulators to run iOS apps on Windows PC is just perfect for you. There are plenty of emulators for iOS with some very extraordinary features available on the internet and some of them are listed in this “iOS emulators for Windows” guide. If you want to use the best iOS app emulator to run iOS apps on Windows computer, you can download any mobile emulator for iOS from the list below. 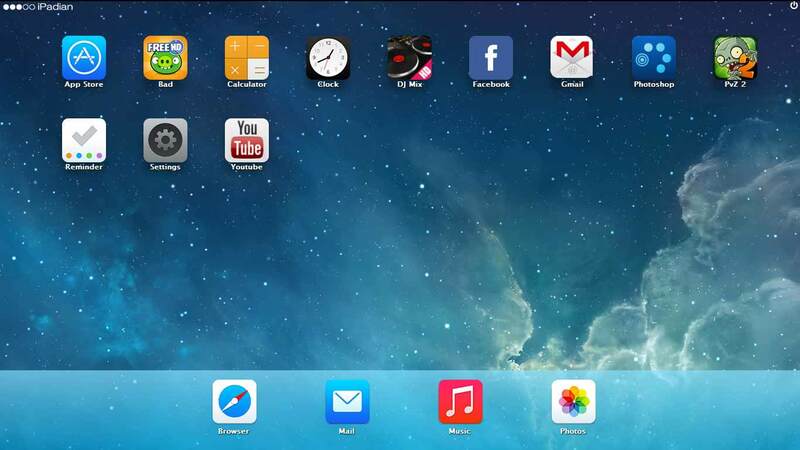 iPadian iPad Emulator is the most popular and the best iOS emulator for Windows PC. You can use this emulator on any version of Windows PC and play all your favorite iPad games and applications. The emulator supports iOS 9 which is the latest iOS operating system available out there. You can download this iOS app emulator for free from its official website. iPadian comes with user friendly interface and will provide you complete iPad experience on your Windows computer. A lot of app developers suggest iPadian as it comes with a lot of advanced features and is highly customizable. Donwload iPadian iOS Emulator right now and brings all your favorite iOS apps to PC. Also let us know via the comments – Are you happy to use iPadian iPad Emulator on your Windows Computer? MobiOne Studio is another iOS emulator for PC. You can use this iOS emulator for Windows to run all the iOS games and applications for free on your Windows computer. If you are into app development you can test your newly developed games using MobiOne Studio. Not only can you use this app studio to develop iOS apps but also Android applications and games. All the applications are built on HTML 5 which you can use anywhere and are compatible with multiple devices. MobiOne Studio will allow you to share the application, build status notifications on your desktop as well as will allow you to configure the application on your iPad and iPhone. You can also customize the icons of the applications and check status of the application which you are downloading in MobiOne studio. You can download and use the mobile app simulator for free on any version of Windows operating system. The next iOS emulators to run iOS apps on Windows PC is Air iPhone Emulator. The emulator or we should call it mobile app simulator will replicate Graphical User Interface of iPhone. 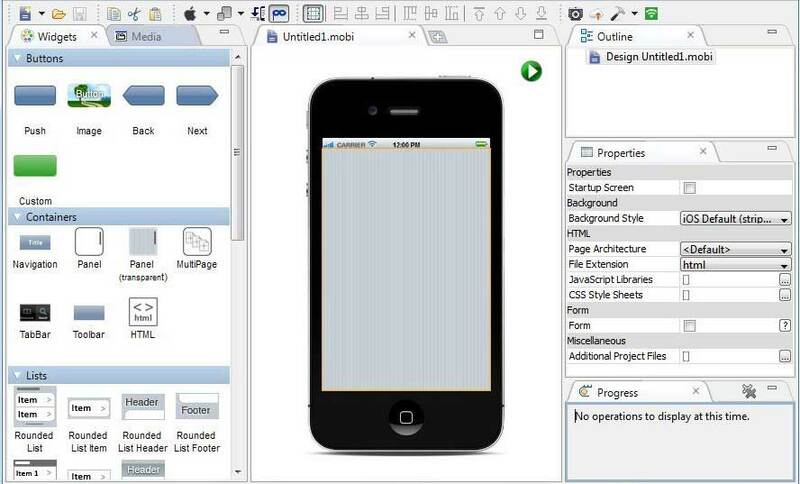 In order to run this mobile app simulator you need to install AIR framework. Air Phone emulator is not fully developed application which is why the apps which you will run on this emulator might look bit different. You will get complete interface of iPhone with this iOS emulator for Windows but if you are a developer or tester you might find it little difficult to test the applications. There are not a lot of advantages stated of this emulator but if you want to experience the user interface of iPhone on your Windows PC you can use Air Phone Emulator. Using iPhone Simulator, you will be able to access all the iOS games and applications on your Windows computer. 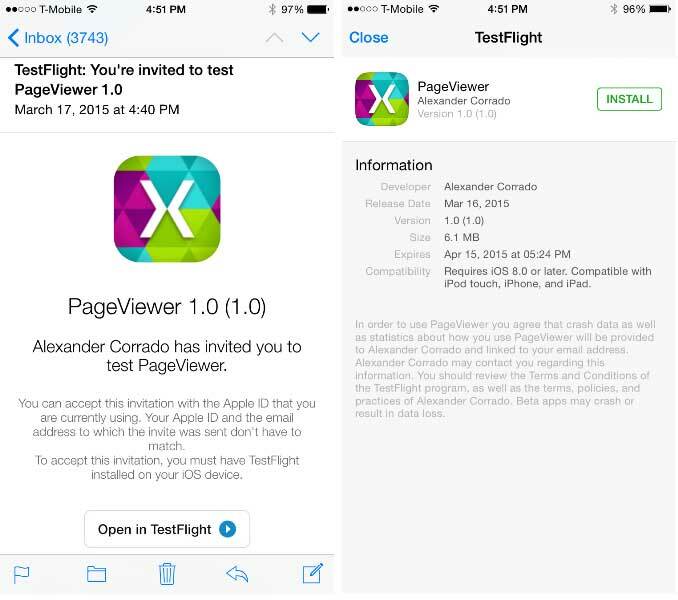 If you are a developer and are developing an app you can test it right away using iPhone simulator as the software allows you to test the applications in beta stage. If you are not able to afford an iPhone then iPhone simulator is the best option which you are having as you can run all iOS games and applications. The graphics which you are going to get on iPhone Simulator are of very high quality and you will get exact iPhone interface on your computer. iPhone Simulator is the must download iOS emulator for Windows if you want to use your computer screen as your iPhone or iPad device’s screen. If you are looking for the best iOS emulators for windows which come with user friendly interface and advanced support, you need to use Xamarin Testflight emulators for iOS apps. You need to shed a couple of bucks in order to use this emulator as it is a premium one. Once you have downloaded and installed this amazing iOS emulator to run iOS apps in Windows PC, you can enjoy all your favorite iOS games and applications on your Windows computer without any interruptions. The Xamarin Testflight emulator is compatible with all the versions of Windows operating system. As the name of this simulator suggests, iPad Simulator will allow you to run all the iPad games and applications. iPad simulator is basically a Google chrome extension which will work in Google Chrome as Cloud OS. You can even use iMessage application to send messages to your friends for free using iPad Simulator. If you get a reply from your friend you will get a notification on your computer. If you are using a lot of applications you can use the search feature to find the app which you want to use. Last but not the least is Smartface App Studio, the iPhone emulator which can be used to test the applications which you are building and development. You get debugging options for the iOS applications which will help you in getting better flexibility and will help in development of applications. If you love playing iOS games and want to use those apple applications and games on your Windows PC then you can use any of the above mentioned 7 best iOS emulators for Windows 10 / 8 / 7 computer. In simple words, if you want to make your Windows desktop look like an iPad or apple device then download iOS emulator for PC and start playing iOS games on Windows PC. Did you find this guide of best iPad Emulator for Windows and best iPad Emulator for Windows operating system useful? Let us know using the comments section below – Which iOS emulator for Windows or iOS simulator are you using to run iOS apps and games on your PC?